What are Sciatica and Piriformis Syndrome? The sciatic nerve is the largest and thickest nerve in the human body, and it is responsible for much of the sensation and motor control of the legs and feet. Nerves exiting the spine between the fourth lumbar vertebra and the third sacral vertebra come together to form the sciatic nerve, which runs through the buttocks and all the way down each leg. Chronic tightness or spasm in the piriformis muscle can compress the sciatic nerve, causing piriformis syndrome. Many of the symptoms of sciatica and piriformis syndrome are the same; the distinction is made based on where the nerve compression occurs. In about 90% of cases, sciatica is caused by a herniated disc compressing the root of the sciatic nerve.2 Other causes include degenerative disc disease, spinal stenosis, spondylolisthesis, pregnancy, tumors, or infection. 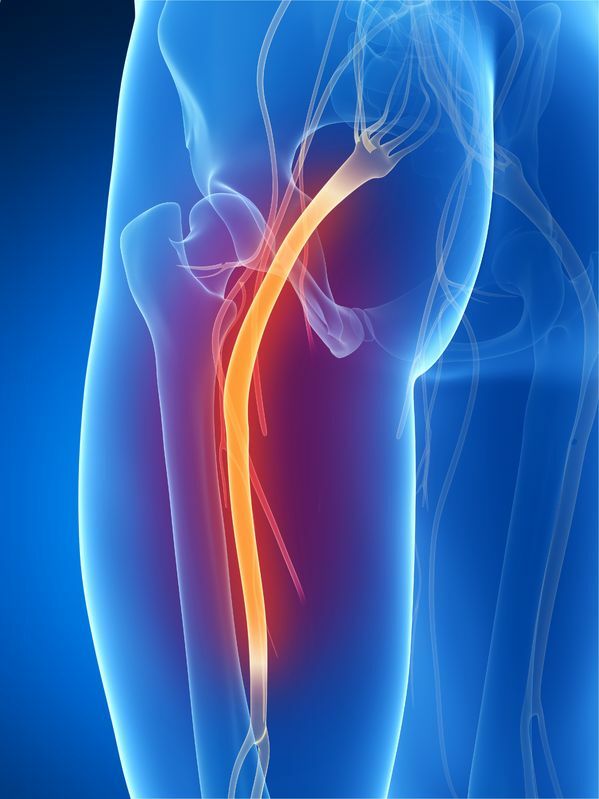 Sciatica typically begins as a functional issue. The structural issues that occur in the lumbar spine to cause sciatica are most often a result of the way we function: the way we habitually sit, stand, and move. Repetitive compression of the lumbar spine or constant compression from tight lower back muscles cause discs to thin and herniate, vertebrae to move out of alignment, the spinal canal to narrow, and bone spurs to develop. The lower back and gluteal muscles can become chronically contracted as a result of athletic training, heavy lifting, or repetitive daily activities like sitting at a desk or carrying a baby. The best way to prevent and alleviate sciatica and piriformis syndrome is to release chronic muscular contraction in the lower back and gluteal muscles, and retrain damaging posture and movement patterns that could be causing compression of the lumbar spine. Clinical Somatic Education uses a highly effective movement technique called pandiculation that works with the nervous system to release chronic, involuntary muscle contraction. Clinical Somatics exercises also retrain posture and movement patterns, preventing pain and structural damage and allowing you to use your body in a natural, efficient way. 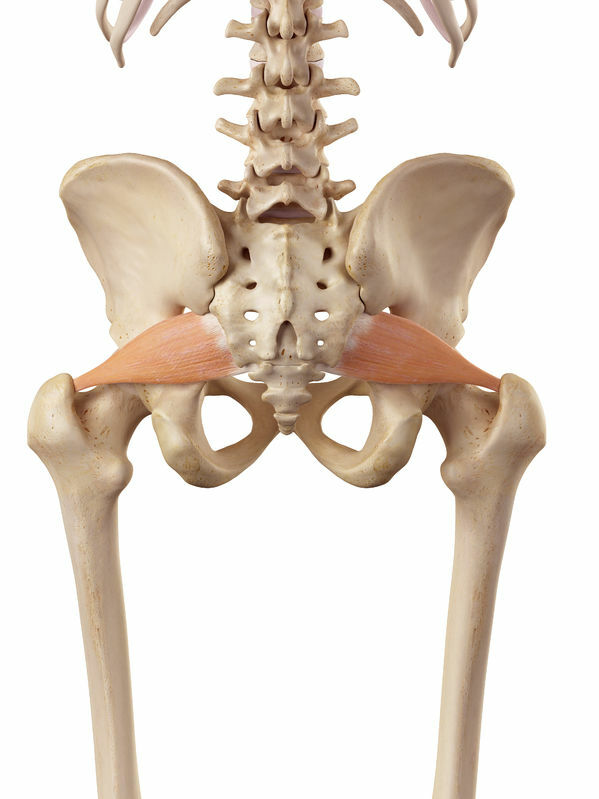 Clinical Somatics exercises are highly effective in relieving sciatica and piriformis syndrome. The Level One Course teaches exercises that release involuntary muscular contraction in the lower back and gluteal muscles, relieving pressure on the sciatic nerve. The exercises are slow, gentle, and suitable for all ages and physical abilities.